When I was in school, math wasn't my favorite subject. Like so many other adults who've said this exact same thing, I felt like I wasn't very good at the computation and problem solving. Now that I'm a teacher, I want to make sure my students don't ever feel the same level of frustration that I did. And yes, I teach kindergarten, but academic confidence should start young! To you, adding 4+1 or knowing that the number 10 is a 3 and a 7 seem like such basic concepts. To a human who has only just learned to walk 48 months before they become one of my students (crazy, right?! ), math can be difficult no matter the concept. I've been teaching kindergarten for 6 years, and I've finally figured out methods of teaching math that not only make it FUN for me but engaging, challenging, and fun for my students, too! 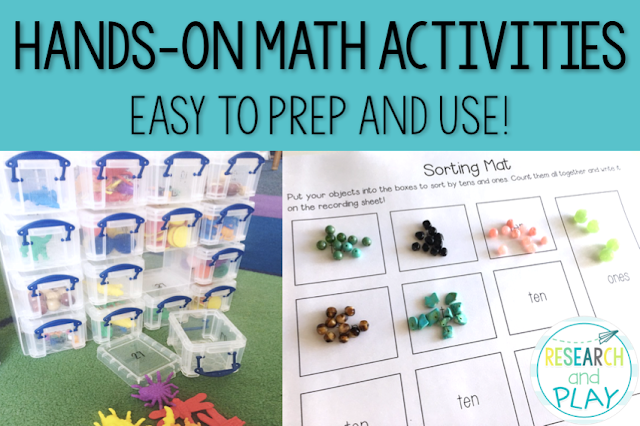 Here are some math activities that are hands-on and can easily be used for multiple math concepts. You probably already have most of the materials in your classroom! If you've been following me for a little while, you know how much I love and believe in Counting Collections. 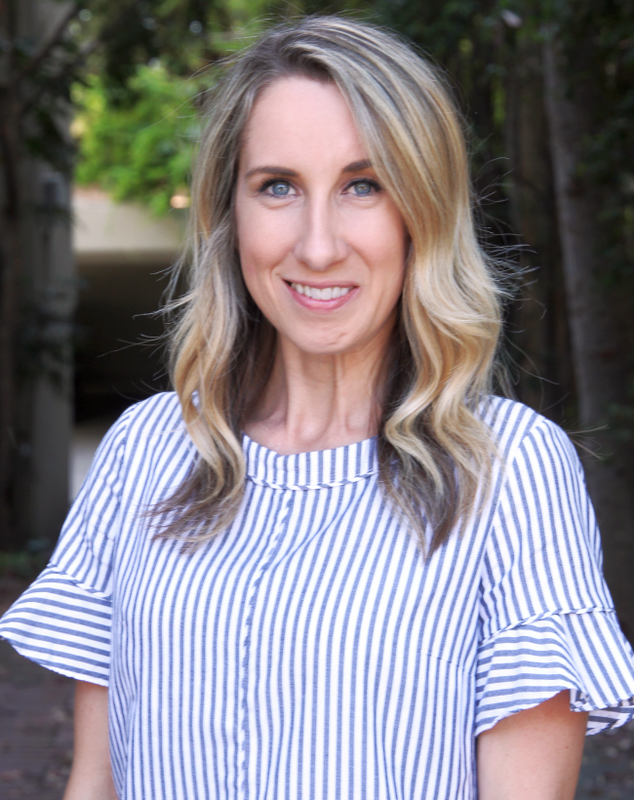 I have another blog post HERE that talks about the "why" behind doing CCs. You can also read more about CCs and watch them in action. 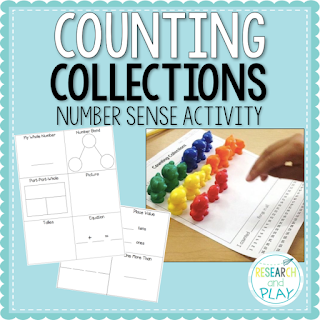 Counting Collections are not just used for counting. However, they are a tremendous tool for developing, strengthening, and advancing the way your students count. They provide so many opportunities for extension into composing and decomposing numbers, addition, subtraction, equal parts, even/odd numbers, teen numbers, grouping by 2, 5, 10, or more, and so on. I can't get over how much I love Counting Collections. 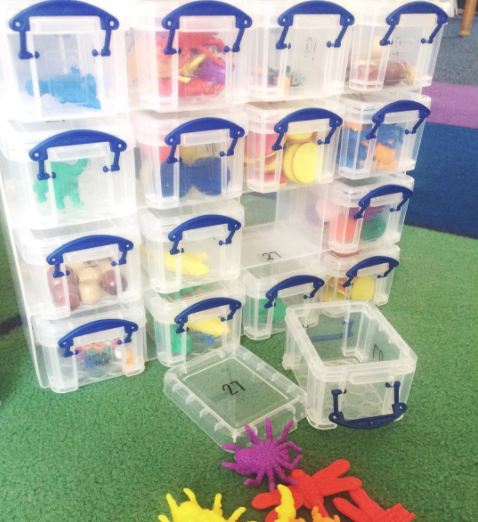 You don't need any special manipulatives or containers for collections. Find and use what you have or what works best for your space. I started out in the beginning with putting counters, tiles, and counting bears into Ziploc baggies and giving those to kids to count. Now, I have accumulated lots of small manipulatives that I can change out throughout the year. You can also vary how many objects you put into a container, you can color-code for amount (blue containers have 11-19, green containers have 20-29, and so on), or you could even give students collections of things that are already in a "collection" like a pack of cards or a roll of pennies. Notice the plastic baggie I used? I've graduated to tubs since then! These tubs are from Staples and come 16 in a set (I have two sets). You can see that inside the tubs I have counters, beads, pom poms, counting bugs, counting dinos, and of course, MINI ERASERS. I have created a set of response sheets that I use over and over and over again with my students as they work on Counting Collections. I keep them double-sided in sturdy plastic dry erase pockets. You can find them in my store, click on the picture below! Ever see rice or beans on sale for super cheap at the store, buy it, then wonder what else you could do with it besides dump it into a bin for a sensory tub? Do scoop math! 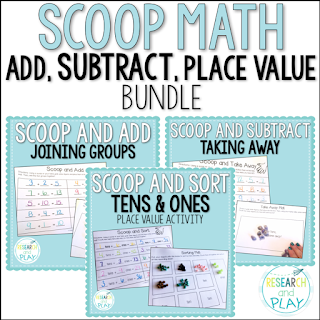 You can do scoop math activities to practice addition, subtraction, place value, grouping, and lots more. I've put beans into bowls, on plates, or inside of plastic bins. Students just scoop out randomly, then they can practice lots of concepts. For addition, students can scoop, count, then scoop again. Once they have two piles, they can push them together and count how many in all. For subtraction, students can scoop, put some back, then count how many they have left. For place value, students can make a big scoop, then group by tens, count how many they have, then add the ones on at the end. For grouping, students can make a big scoop then group into 5s, 2s, or whatever else you want them to work on! I've got some easy-to-use Scoop Math activities with counting mats that make it much more organized. I laminate the counting mats to use over and over. You can click on the picture below and see them in my store. My students and I love, love, love to play this game. You can use it for ANY math concept (and even some ELA ones, too!) and it requires very little! Your students will need dry erase markers and some sort of eraser. You will need loud music and the optional ability to dance. Musical Counting: Students stand next to their tables. You start playing music, and they walk around and around the table. When you stop the music, shout out a number/sequence. They find a seat as soon as they can and write the number. I sometimes say, "8" or "2 more than 6!" You can also give them directions to write three numbers when you shout out the first one. You can say, "7!" and they would write 7, 8, 9. Musical Teen Numbers: You'll also need base ten rods and cubes piled in the middle of the table. Play the same way as before, but when you stop the music this time you'll call out a teen number! They'll build it with the base ten blocks and/or write it with the dry erase marker. Musical Addition/Subtraction: Again, play the same way, and when you stop the music this time you can shout out an addition/subtraction problem. They can write the problem or just the solution! When a student is done writing, they put their hands in the air so I can scan and check. Once I tell them, "Check!" they can erase their numbers. Teachers will need to walk around so they can check students. It would be a very fun and easy way to *formatively assess* your students on math concepts, just have a notepad/sticky notes/checklist with you and write down what/who you notice. Teachers need classroom-appropriate music they can blast! I hope you use some of these easy, challenging, and FUN ways to get your students' hands on their math! Let me know your favorites or share any other hands-on math activities that you swear by!